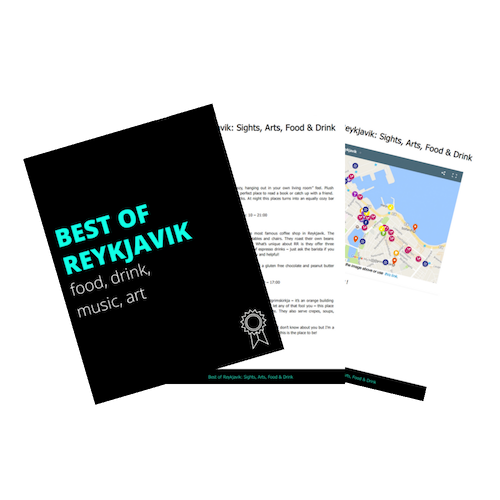 So the survey results are in, and a lot of you said you wanted to know more about Icelandic culture! Today I’ve rounded up 10 interesting things about the Icelandic culture. You’re pretty much going to know the Iceland inside scoop after all of this knowledge! I want to thank all of you who helped out with the survey. It was such a great way to connect with all you awesome readers and get your input for future blog posts. Congrats to Erin on winning the personal travel consult! 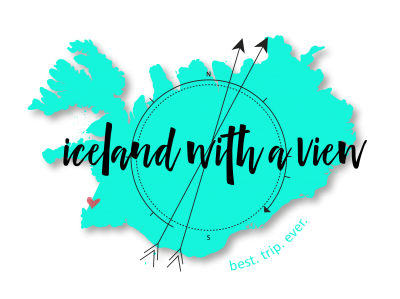 Excited to get chatting with you about planning your trip to Iceland! This goes way back to prohibition times. Iceland was trying to gain independence from Denmark. Danes drank a lot of beer. Icelanders didn’t wan to be like the Danish. Beer was banned. Beer could sometimes be found stashed away in a fisherman’s garage, but was less than 2.25% alcohol. It’s a good thing the ban is lifted now, Iceland has some delicious local craft brews these days! First of all, have you seen photos of this animal?! Adorable alert. These creatures are able to survive the harsh conditions in Iceland, eating birds and fish. Next goal: see one of these cuties in the wild! It’s true, the Guinness Book of World Records proves it! Fun fact: in Iceland there is an intermission in the middle of the movie. Everyone gets up to go to the bathroom or refill on snacks and drinks. This was initiated in an effort to end violence towards women. Iceland is huuuge on gender equality. Fish accounts for 70% of exported goods, and is some of the purest fish in the world. Here’s a photo of the fish drying process. Hardfiskur is a very common snack, the equivalent of beef jerky. It’s best enjoyed with a big scoop of golden Icelandic butter, yummm. Handball is a brand new sport to me, that until 8 months ago I didn’t even know existed! Think of it as a mix between basketball and lacrosse. It’s played indoors on a basketball court, but the nets are more like the size of hockey nets and the ball is small enough to be held in the palm of your hand. Similar to lacrosse, the ball is passed from player to player with the intention of scoring goals for the most points. It looks fast paced and intense. I must go see what all the fuss is about! For a tiny island in the Northern Atlantic and in the most remote areas of the country, internet is surprisingly easy to find. This is good news for travelers: you’ll be able to pick up wifi at most cafes and accommodations! That’s like 31° F! Contrary to what most people might think, Iceland doesn’t get that cold in the winter! This is because of the gulf stream effect which warms the South and West part of the country. The temp definitely depends on where you live, so towns in the Nothern part of Iceland do get colder and have more snow. But honestly, I have experienced much colder winters growing up in Wisconsin! I don’t know much about horses, but I know that the Icelandic horse is awesome for many reasons. The tölt and the flying pace are unique gaits to Icelandic horses. 10. Icelandic is the original language of the Vikings from over 800 years ago. Icelanders are proud of this fact and firm on protecting their beautiful yet amazingly complex and difficult to learn language! This is pretty amazing if you think about it – most languages evolve over time. For example, if someone wanted me to read a book written in Old English, I would probably struggle through the first chapter and quit reading out out of boredom and inability to follow along. Icelanders can pick up the Sagas books written in the 1300’s and read through with little difficulty. Question: Did you know any of these facts about Icelandic culture? Really enjoyed this, I only knew 2 and 5. I’m visiting Iceland in December and cannot wait. Definitely need to stock up on thermals! I had no idea beer was banner for so long! Or that there’s only one native animal from Iceland! So many interesting facts! Right?! Crazy stuff! I can see how the arctic fox would be the only native animal, you really have to be able to put up with some harsh environments! But the beer thing is just weird. This was fun to test my knowledge and see what I knew :)I didn’t know #3, 4, & 6…. I thought there was only one other special gait, not two! I was excited to ride an Icelandic horse to see what these special gaits would be like, and I have to admit, I almost FLEW off when it happened… haha. Really impressed about #3! Props. Czechs aren’t big on movie snacks (traditionally) so I have to sneak mine in whenever we go to the indie cinema that doesn’t believe in concession stands.